We all know we are going to die, we just don’t like talking about it. Not talking about death constrains us from understanding the human experience. 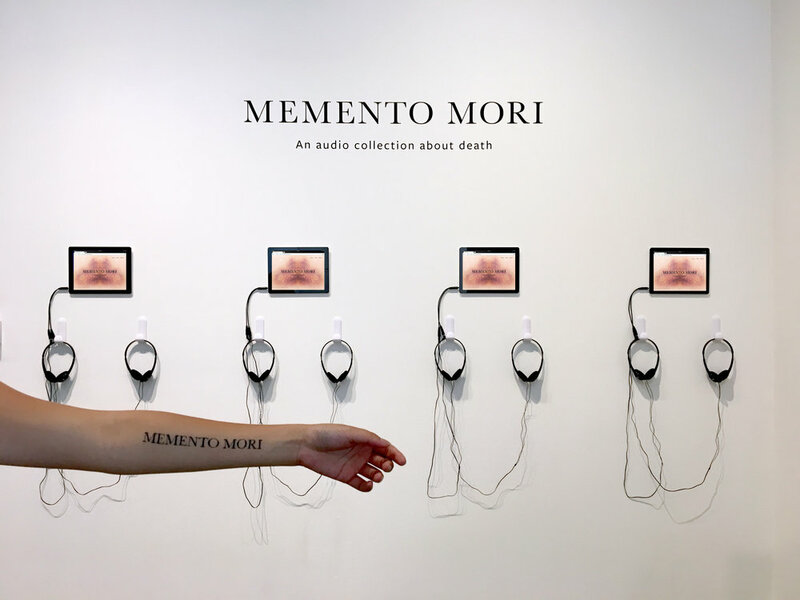 Memento Mori is an audio collection that opens the conversation about death; it's a website of interviews with individuals who face death daily in their careers. People don’t like talking about death. Design a project that opens the conversation about death. Initial ideas to approach the challenge of talking about death. A letter to your future self? Writing your own tombstone? Inspired by “The Gift of Grace”, an end-of-life advance care planning card game, I designed my first prototype as a conversational card game divided by three levels of seriousness in order to ease players into deep, genuine conversation; however, users felt like they were forced to answer honestly. I came across "The Wake up To Dying Project" (interviews with people who had lost loved ones) and was inspired by the power of audio to convey deep emotion. I decided to change the medium of my project to a collection of audio interviews. I interviewed a range of people who specialize with death. I had an hour long conversation with each person asking them questions like "what is your mission?". The process of finding the appropriate branding for Memento Mori had to meet the tone of being genuine, sentimental, and optimistic. I named this project "Memento Mori" because it translates as "remember death" in Latin. Skin is a large element of Memento Mori because flesh is a reminder of our own mortality. It is also why every audio clip features the skin of the interviewee, which provides an intimate visual with their story. Below is one audio clip of an interview with Dr. Dawn Gross, a palliative care doctor at the UCSF Medical Center. This interview captures the passion that these people held for their beliefs in death and the beauty of their experiences. How can this exist in the real world? An application idea featuring the Memento Mori app that would record daily logs with meditative prompts about death. This was never produced– but it tackled the questions: how would Memento Mori live after its project lifetime? How would it be integrated into the real world? For the installation, I wanted the user to have an intimate experience listening to the interviews; the result was a iPad installation with headphones. This installation was showcased for CCA’s Graphic Design Thesis Critique and the CCA Graphic Design Program SYN: Synthesis Print x Digital Senior Show (sponsored by Facebook Design) in May 2017. 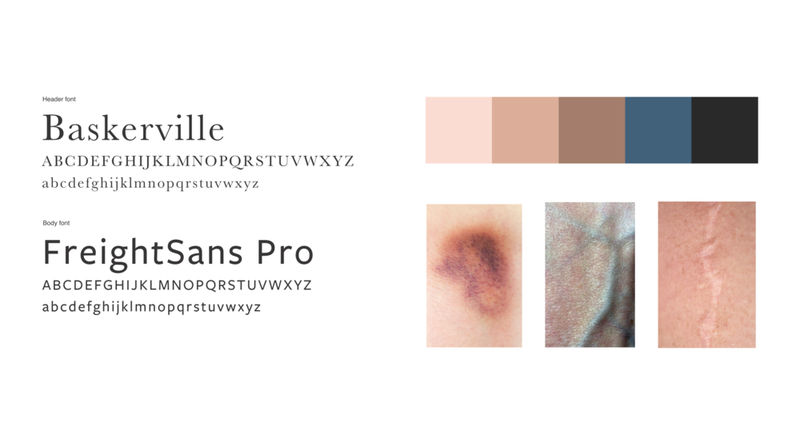 My tattoo had heavily inspired the name and branding of this project. This project has received a 2017 Adobe Design Achievement Award as a semifinalist in Social Impact. This project was also showcased as a part of Reimagine End of Life week in San Francisco April 2018.